After 9 months of living in my garage I got this dresser painted and put to use. It still needs a coat of finish…but I couldn’t wait to get it moved into the house. Besides painting I’ve been post-market organizing and I got some of my first quilts out to display and use. The other night I tackled my scrap basket. I swear I cut for a couple of hours and barely made a dent in my scraps. Scraps and I have a love/hate relationship. If you want more pictures of projects, life, and non-flattering close ups of my face…I finally joined Instagram. I’m @cluckclucksew. that grey dresser is awesome! and i agree — i must be desperate if i bust out the goldfish too. or the dry froot loops. haha. Love that dresser! It is fab! That dresser make over is great. What a change and what a super addition to any other pieces. Great job. 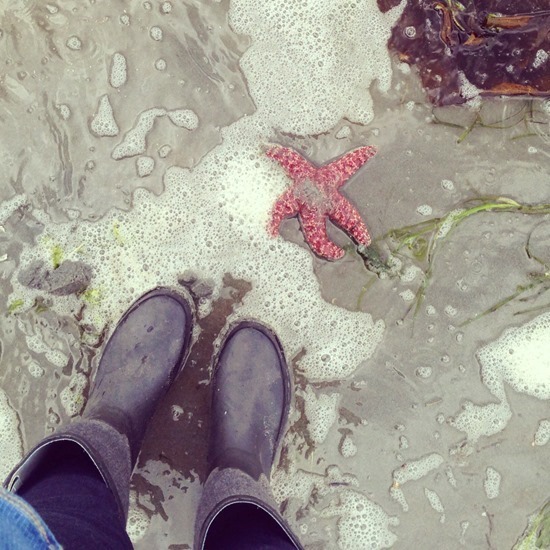 Wish I already had this many scraps to dig into…. 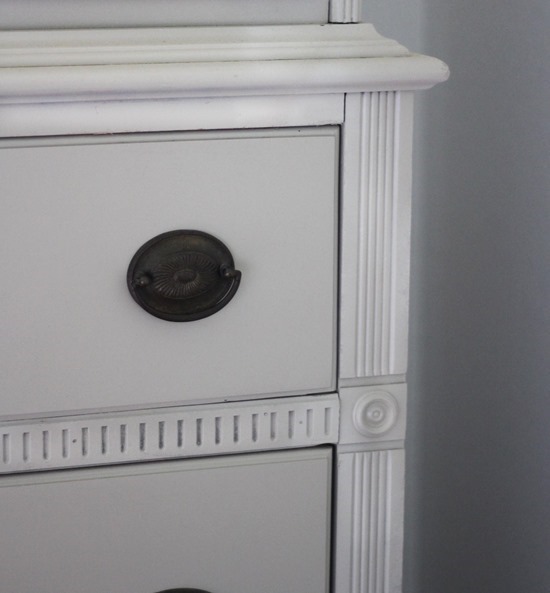 I just love that dresser, amazing what can be done with an old piece of furniture. I hate scraps, and I don't like sorting them, therefore I have a bin full looking at me everytime I open the cupboard. One day, one day. That dresser looks great. Love the hardware on it. Did you paint the hardware too? Your quilt looks really nice hanging over the railing. Who is the little dog on Instagram? Love my new patterns! The difference in the dresser is unreal! I love it. Just ordered your book, growing up modern, last night. Looking forward to getting it soon! The dresser looks beautiful. The style is so elegant, and the grey is just perfect for it. ok, you've convinced me! I have a dresser/vanity set that looks a lot like that before, and I've resisted painting them. But yours looks amazing! What kinda paint! 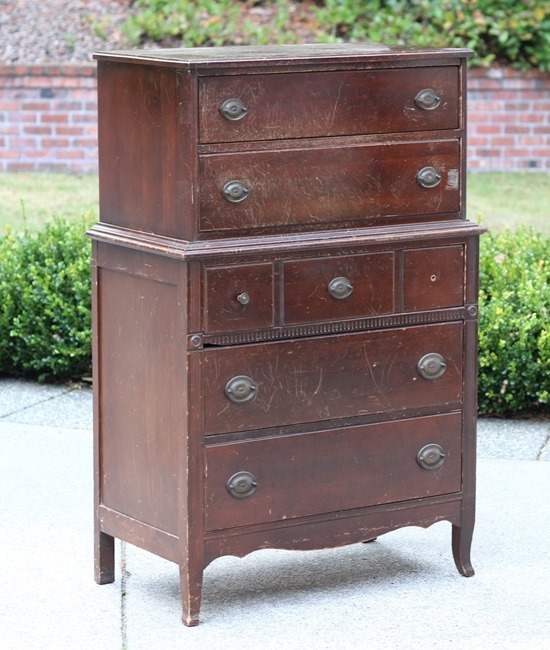 I have my Mom's old dresser and after seeing your beautiful finish…might give it a new look. The dresser is awesome! I love using and re-finishing old furniture! Say how do you organize your scraps? By collection or color? I just started to save mine because I will admit that I used to be very "wasteful" and would throw mine out! I love the dresser! When you paint do you spray? Do you use an actual sprayer or do you use cans? I am wondering if I should invest in an actual sprayer in the future. I imagine a brush and roller wouldn't work out to well with the fine details on your dresser. Love the dresser! I just bought an antique bedroom set off of Craigslist that I want to paint fo my daughter's big girl room. 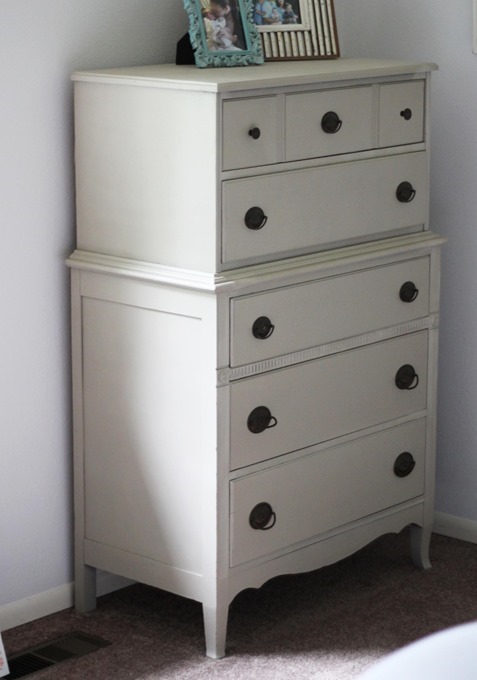 Could you share more about how you painted the dresser… Paint color, brand, technique, etc? It looks perfect!!! 1. Looooove the dresser. Perfect colour. 2. 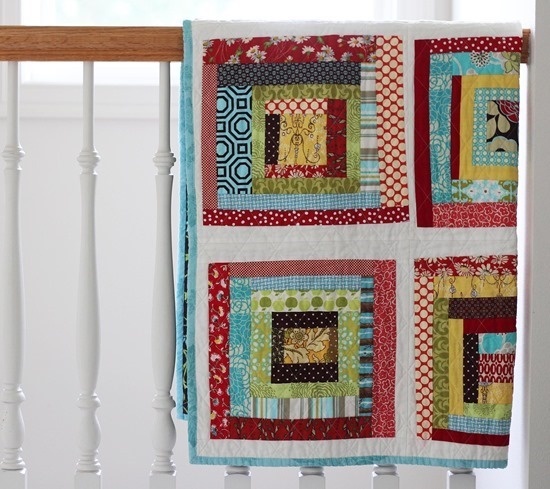 That 4 year old quilt is so bright and happy….adore it. 3. DDP and goldfish are a frequent snack round here too. If we are feeling really fancy, we have pizza goldfish. dresser is lovely!!! Furniture sits in my garage longer than my husband likes too…there's probably a recovery group for it somewhere! Do you mind sharing the paint color? I have a bench and some dining room chairs that need to be a subtle gray. Thank you! great dresser! I'm always scared of painting furniture, just because I think it'll peel off. Yours always look so perfect!!! I have a dresser to paint. What finish – flat, semi gloss, etc – did you use? Love the color. Diet Dr Pepper…yumm! Oh, the scraps are fun, anxious to see what you make. I have the same love/hate relationship with my scraps. Ugh. The dresser looks great. They just don't make them like that anymore. I was marvelling over my scrap box the other day. It just seems to expand to fit the box no matter how much I use. Great color! I too have been afraid to paint wood. if i ever get brave, i love that blue color on the other one as well.You must live nearby…that bridge is almost home for us as we'll. We are down the road in Puyallup. You did a great job!!! The dresser is a beautiful shape and you've done a lovely job! I have always wanted to restore some antique pieces I have, and you have inspired me to give it a go! Your painted furniture always looks great. Sometime can you tell us how you do it, prepare the wood, the kind of paint, etc? Thanks. It looks great. What a difference! Love your painted dresser and your quilts are always so beautiful. Oh love the dresser. That is a gorgeous piece.